Design by Nektar Ege Altıntoprak, Graduate of Department of Industrial Design, Faculty of Fine Arts and Design, Izmir University of Economics (IUE), came in first place in Turkey at the “Falling Walls Lab” contest organized by German Academic Exchange Service (DAAD). The “sleep tracking device”, consisting of a smart alarm and an ankle band for children will prevent bed-wetting. Altıntoprak developed the band and alarm system called the “Moon” in order to allow children aged 8 – 12 to get a good night’s sleep. 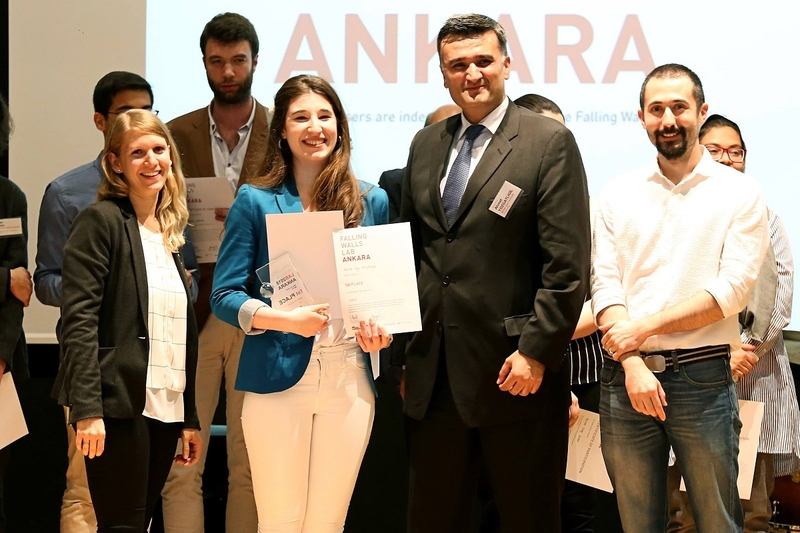 The design, which came in first place at the contest where many projects by entrepreneurs and inventors competed, will represent Turkey in Berlin against other projects coming from different countries. Altıntoprak reported that the device gave out different signals such as smell, sound, vibration, and light, which are unique to the child. She added that when the alarm was set, it would wake the child up in order to prevent bed-wetting. Altıntoprak said that after her design came in first place in Turkey, she would compete at the finals that would take place in Berlin.